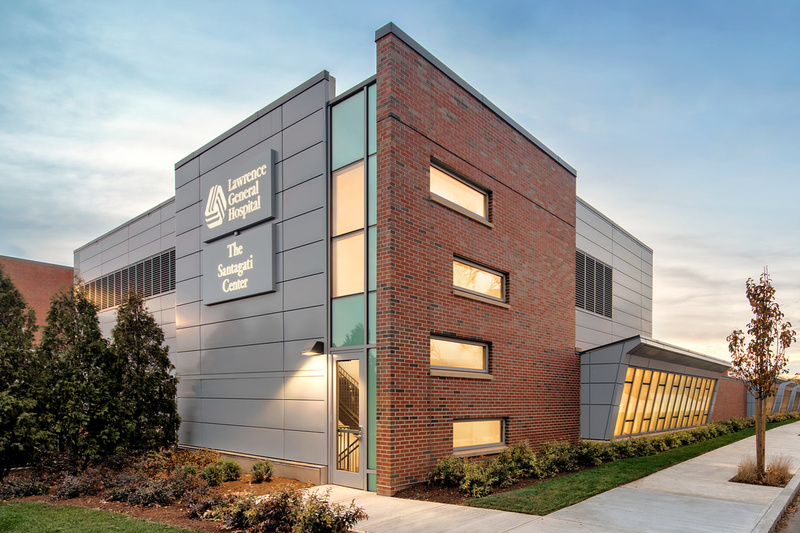 (Boston, MA) – BOND, the Northeast’s premier building, civil, utility and energy construction firm, recently announced the completion of the Lawrence General Hospital Santagati Surgical Center. In addition, BOND is nearing completion of the last phase of the project, which includes the renovation of a pre-admission and reception center as well as a spacious and welcoming new family/visitor waiting room. This project is part of a $73 million effort to improve healthcare delivery and expand the reach of the hospital and its services. The new surgical building represents the single largest capital investment in Lawrence General Hospital’s history. To facilitate the project, BOND worked in close collaboration with LGH stakeholders and design firm Morris Switzer Environments for Health to construct the new 43,000 square-foot facility. The building houses seven technology-rich operating rooms, including the only hybrid operating room in the region. State-of-the-art imaging and digital support technology is incorporated throughout the facility, improving LGH staff’s ability to perform complex vascular, cardiac, and neurosurgery. New construction began following the dismantling and demolition of the Lamprey Annex, former School of Nursing building and the Medical Office Building. BOND managed the demolition and enabling efforts related to this first phase of the project, carefully rerouting campus infrastructure to ensure critical Hospital operations were maintained throughout the project. BOND also completed renovations in the existing hospital, encompassing approximately 25,600 square feet of inpatient bed space, including nine single rooms with space for overnight visitors and 17 single and semi-private rooms. Prior to the construction phase, BOND provided preconstruction services for the effort, including various options analyses, cost estimating, and Building Information Modeling (BIM) to ensure the most efficient construction process. The new facility took just shy of two years to complete, from groundbreaking to opening and came in on time and on budget.